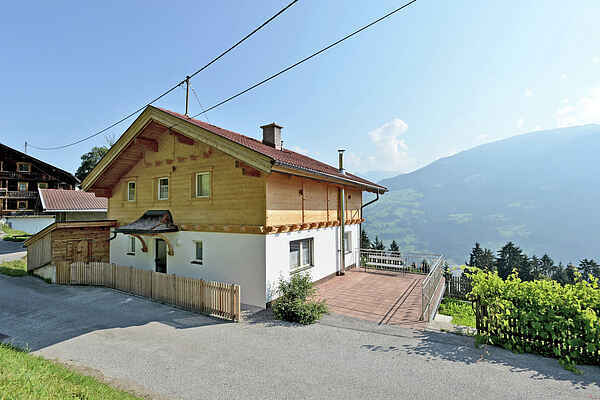 Newly renovated in 2015, this mountain chalet is located about 2.5 km from the centre of Aschau on the Zillertaler Höhenstrasse in a sunny and quiet setting with a wonderful view of the surrounding mountains. The chalet is furnished in a modern design and has a kitchen, living room, dining area, 2 bathrooms and a terrace as well as a total of 5 bedrooms, three of which are finished in wholesome Swiss pine. The nearby ski areas are Hochzillertal and Zillertal Arena. The ideal chalet for a holiday to remember.